Blowers, P., Canter, C. E., & Razon, L. F. (2016). Large-Scale Cultivation of Microalgae for Fuel. In Process Design Strategies for Biomass Conversion Systems (pp 135-157). Singapore: John Wiley & Sons. Blowers, P., Canter, C. E., Handler, R., & Shonnard, D. (2015). Implications of Widespread Algal Biofuels Production on Macronutrient Fertilizer Supplies: Nutrient Demand and Evaluation of Potential Alternate Sources. Appl. Energy , 143, 71-80. Ramasami, P., Abdallah, H. H., Archibong, E. F., Blowers, P., Ford, T. A., Kakkar, R., Shuai, Z., & F., H. (2013). Assessment of theoretical methods for the study of hydrogen abstraction kinetics of global warming gas species during their degradation and byproduct formation (IUPAC technical report). Pure and Applied Chemistry , 85(9), 1901-1918. Abstract: Global climate change is a major concern as it leads to an increase in the average temperature of the earth's atmosphere. The existence and persistence of some gaseous species in the atmosphere contribute to global warming. Experimental techniques are used to study the kinetics and degradation of global warming gases. However, quantum mechanical methods are also useful for the kinetic and radiative forcing study of global warming species and can precede experimental investigations. Research has also been targeted to develop more adapted procedures using ab initio and density functional theory (DFT) methods. This report provides a global perspective, in simplified manner, of the theoretical studies of the degradation of gas species in the atmosphere with an emphasis on the hydrogen abstraction kinetics of global warming gas species during their degradation and byproduct formation. En route, the results obtained from these studies are analysed and compared with experimental data where available. Our analyses indicate that the theoretical predictions are in agreement with experimental findings but the predicted parameters are dependent on the method being used. Theoretical methods are used to predict the thermodynamic parameters of reactions, and, with relevance to this report, the global warming potential (GWP) index can also be calculated. This report can be useful for future investigations involving global warming gaseous species while providing suggestions on how computations can fill in data gaps when experimental data are unavailable. © 2013 IUPAC. Blowers, P., Canter, C., Handler, R., Shonnard, D. R., Taborga, M., & Galka, M. (2012). Sustainability analyses of production scale processes for forming biofuels from algal biomass based on experimental data. AIChE 2012 - 2012 AIChE Annual Meeting, Conference Proceedings . Abstract: Algal biomass is being investigated widely as a route to generating liquid transportation fuels using a variety of technologies. The sustainability analyses and life cycle assessments that have been completed in the literature are often based on a range of assumptions regarding the processes and technologies that cultivate, harvest, separate, and transform the cells into fuels and high value products. In this work, we use both bench and pilot scale data of several algal species to rigorously analyze novel harvesting, dewatering, oil extraction, and conversion technologies regarding the material and energy balance requirements. This life cycle inventory for bench scale and pilot plant data is transformed into an environmental footprint using life cycle assessment principles so opportunities and challenges regarding sustainability can be characterized. Results show that energy requirements for harvesting range over three orders of magnitude on a kWh/gram of algae basis for some emerging technologies, including membrane technologies, electrochemical flocculation, and flocculation with chitosan, which has lower energies than some existing technologies. However, material needs for these processes incur other embodied energy, water, and greenhouse gas emissions that increase the environmental footprint by several factors for some of the technologies. Environmental impacts for extraction methods are generally larger than for algae harvesting, due to lower efficiencies and more energy intensive stages. Scenarios are investigated that combine different commercially available technologies that have been previously modeled environmental footprints to the experimentally based emerging technologies. Modified processing trains have the potential of enhancing performance and increasing environmental sustainability so sustainable production of algal based biofuels is possible. Galka, M. D., Lownsbury, J. M., & Blowers, P. (2012). Greenhouse gas emissions for refrigerant choices in room air conditioner units. Environmental Science and Technology , 46(23), 12977-12985. PMID: 23136858;Abstract: In this work, potential replacement refrigerants for window-mounted room air conditioners (RACs) in the U.S. have been evaluated using a greenhouse gas (GHG) emissions analysis. CO2-equivalent emissions for several hydrofluoroethers (HFEs) and other potential replacements were compared to the most widely used refrigerants today. Included in this comparison are pure refrigerants that make up a number of hydrofluorocarbon (HFC) mixtures, pure hydrocarbons, and historically used refrigerants such as propane and ammonia. GHG emissions from direct and indirect sources were considered in this thermodynamic analysis. Propylene, dimethyl ether, ammonia, R-152a, propane, and HFE-152a all performed effectively in a 1 ton window unit and produced slightly lower emissions than the currently used R-22 and R-134a. The results suggest that regulation of HFCs in this application would have some effect on reducing emissions since end-of-life emissions remain at 55% of total refrigerant charge despite EPA regulations that mandate 80% recovery. Even so, offsite emissions due to energy generation dominate over direct GHG emissions and all the refrigerants perform similarly in totals of indirect GHG emissions. © 2012 American Chemical Society. Handler, R. M., Canter, C. E., Kalnes, T. N., Lupton, F. S., Kholiqov, O., Shonnard, D. R., & Blowers, P. (2012). Evaluation of environmental impacts from microalgae cultivation in open-air raceway ponds: Analysis of the prior literature and investigation of wide variance in predicted impacts. Algal Research , 1(1), 83-92. Abstract: It is often difficult to compare publications assessing the sustainability of algal biomass as a feedstock for biofuels, due to differences in data aggregation, life cycle boundaries, technical and life cycle assumptions, environmental metrics considered, and use of experimental, modeled or assumed data. Input data for the algae cultivation stage was collected from published studies, focusing on microalgae production in open-air raceway ponds. Input data was normalized to a consistent functional unit, 1. kg of dry algal biomass. Environmental impacts were applied consistently to the different study inputs in order to eliminate this source of variation between the studies. Greenhouse gas emissions, fossil energy demand, and consumptive freshwater use were tabulated for the algal feedstock growth stage for open pond systems, and results were categorized (energy use, macronutrient fertilizers, and everything else) to compare the different studies in general terms. Environmental impacts for the cultivation of algal biomass in the considered reports varied by over two orders of magnitude. To illustrate impacts of variability in the cultivation stage on the ultimate environmental footprint of microalgae biofuels, algal oil harvesting, extraction and conversion to Green Jet Fuel was examined using the Renewable Jet Fuel process developed by Honeywell's UOP. © 2012 Elsevier B.V.
Blowers, P., & Kim, B. G. (2011). The adsorption of mercury-species on relaxed and rumpled CaO (0 0 1) surfaces investigated by density functional theory. Journal of Molecular Modeling , 17(3), 505-514. PMID: 20505965;Abstract: This research examines the importance of several computational choices in modeling mercury species adsorption on calcium oxide surfaces and is the second in a series of papers. The importance of surface relaxation was tested and it was found that adsorption energies changed for HgCl2, moving adsorption from being at the borderline of physisorption and chemisorption to being strongly chemisorbed. Results for Hg and HgCl were unaffected. A second computational choice, that of the cluster or periodic model size was tested in both the plane of the model (4∈×∈4 or 5∈×∈5 model sizes) and for the depth (two or three layers). It was found that the minimum cluster size for handling mercury adsorption was 5∈×∈5 and that only two layers of depth were needed. The energetic results show that rumpled CaO surfaces will only weakly physisorb elemental mercury, but could be used to capture HgCl2 from coal combustion flue gases, which is in agreement with limited experimental data. © 2010 Springer-Verlag. Canter, C., Handler, R., Young, C., Blowers, P., & Shonnard, D. (2011). A review of algae-based biofuel production: Sustainability and life cycle assessments. 11AIChE - 2011 AIChE Annual Meeting, Conference Proceedings . Abstract: The National Alliance for Advanced Biofuels and Bioproducts (NAABB) is a consortium of universities, bioenergy companies, and national laboratories whose goal is to overcome technical, economic, and environmental barriers to large scale algae-based biofuels production. One of the important areas in the NAABB research portfolio is environmental sustainability, and life cycle assessment of the entire algae-based biofuels value chain is one of the key integrative projects in this area. Due to lack of quality land and competition with food production, current terrestrial sources of carbohydrates for conversion to bio-ethanol or oils for conversion to bio-diesel are inadequate for fully meeting the United States' transportation fuel needs. Algal sources of biomass offer many novel sustainable opportunities to partially or fully replace the use of fossil fuels for motor vehicle use, due to large yields per unit of land area and low reliance on other inputs relative to other alternative feedstocks. This work evaluates past peer reviewed life cycle assessments (LCAs) of biofuels production using algae feedstocks to identify areas where prior analyses have missed opportunities for putting sustainability into a whole life cycle context, and also to conduct an analysis of the range of potential data being used to describe this emerging industry. System boundaries of prior studies are described to highlight limitations of past assessments and to aid in building more complete analyses with the use of additional experimental data. Regional and technological limitations are also evaluated, so that future work can consider these issues in their evaluations. Data quality of previous LCAs is discussed by distinguishing input in all studies as being assumed, modeled, or derived from experimental data, and by using our meta-analysis to provide appropriate uncertainties on several key system inputs. Our review of the LCA literature shows that there is a wide range in the quality of inventory data, and a prevalence of assumed (estimated) or modeled data as opposed to measured data. In addition, many previous studies omitted critical processing steps altogether due to lack of data and lack of knowledge. For example, previous assessments have not considered cell disruption methods and the energy requirements added to the total material and energy needs. Water evaporation from raceways has been either ignored or simplified without considering local weather through annual cycles to identify the water burden on the local region. When considering biodiesel production in warm sunny areas such as the southwestern United States, this may play a large role in the overall sustainability of the process. Models of the missing elements discussed above are introduced to show how the life cycle inventories (LCIs) and the resulting LCAs are impacted by the addition of new data. In many cases, it is found that neglecting some material and energy flows was unimportant to overall sustainability, but others are critically important, depending on the location of biofuel generation and processing. Impacts of different nutrient input sources with various levels of material recycling are also illustrated in an effort to indicate how system co-location or integration with other utilities and industries may be a critical factor in the economic and environmental sustainability of this technology. Blowers, P., & Lownsbury, J. M. (2010). Carbon dioxide emission implications if hydrofluorocarbons are regulated: A refrigeration case study. Environmental Science and Technology , 44(5), 1526-1529. PMID: 20050659;Abstract: The U.S. is strongly considering regulating hydrofluorocarbons (HFCs) due to their global climate change forcing effects. Adrop-in replacement hydrofluoroether has been evaluated using a gate-to-grave life cycle assessment of greenhouse gas emissions for the trade-offs between direct and indirect carbon dioxide equivalent emissions compared to a current HFC and a historically used refrigerant. The results indicate current regulations being considered may increase global climate change. © 2010 American Chemical Society. Bundhun, A., Blowers, P., Ramasami, P., & Schaefer, H. F. (2010). Quantum mechanical modeling for the GeX2/GeHX + GeH4 reactions (X = H, F, Cl, and Br). Journal of Physical Chemistry A , 114(12), 4210-4223. PMID: 20184333;Abstract: A systematic theoretical investigation was carried out to study the reactions of various germylenes with germane. Molecular structures of the reactants (GeX2 and GeHX, where X = H, F, Cl and Br) plus GeH 4, transition states, and products have been optimized to understand the effects of halo-substituted germylenes. The basis set used is of double-ζ plus polarization quality with additional s- and p-type diffuse functions. Consistent with experiment, the theoretical gas-phase reaction GeH2 + GeH4 → Ge2H6 possesses a negative activation energy. The predicted activation energies reveal interesting trends for both mono- and di- halo-substituted germylenes, - 1.5 [GeH2], + 20.5 [GeHF], +59.9 [GeF2], +18.0 [GeHCl], +46.8 [GeCl2], +17.3 [GeHBr], and +42.9 kcal mol-1 [GeBr 2]. There is a noteworthy relationship between the activation energies and the singlet-triplet splittings of the divalent germylenes. We report for the first time rate constants for the transfer of hydrogen, evaluated using standard transition-state theory with tunneling corrections. These results are analyzed and compared to the available experimental and previous theoretical findings for the gas-phase reactions involving germylene derivatives and germanium analogues. © 2010 American Chemical Society. Blowers, P. (2009). Application of multimodal software tools to teach problem solving skills. ASEE Annual Conference and Exposition, Conference Proceedings . Abstract: Many faculty members have attempted to apply new technological advances in classroom settings to improve pedagogical approaches, increase student learning, and to run classrooms more effectively. Unfortunately, many of the approaches of applying these new tools do not accomplish these goals. This work investigates the use of multimodal (spoken verbal, written verbal, and visual) approaches integrated through Microsoft's OneNote program to change student access to problem solving frameworks in the context of a sophomore engineering course. One of the challenges in early engineering education is getting students to move beyond plugand- chug type solutions and frameworks to having them fully integrate new knowledge into an independently organized thought process for bringing complex information to bear in applied ways. Students have a difficult time developing these skills from textbooks because the texts are not interactive and because they often do not present information in more than one way (written verbal). Lectures can engage students in active learning techniques where students can apply information with guidance. However, the fast pace of some lecture materials will leave weaker students with little recourse other than to extensively rely on the textbook. Archived materials from lectures recorded with OneNote accompanied by verbal spoken explanations timed with the flow of the note development allows students the ability to review notes at their leisure and to capture the nuances of explanation they may have missed during the actual lecture. Examples of materials generated for the sample course and a brief tutorial of how to apply the software will be discussed. Time based analyses of student access to materials indicates some interesting trends that can be used diagnostically to improve lecture delivery, timing of materials, and student access. Analyses will investigate students who have English as a second language to see if their use of the materials is heavier than others, possibly indicating areas where they should focusimprovement of their aural comprehension skills. © American Society for Engineering Education, 2009. Blowers, P. (2009). Longitudinal contact with individual students as a route of encouraging self-determination in chemical engineers. ASEE Annual Conference and Exposition, Conference Proceedings . Abstract: It is difficult to have contact with individual students over a sustained period of time due to constrained schedules and competing time demands. However, frequent contact with individuals over time allows advisors to build student strengths in self-determination while tailoring advice directly to changing interests. The talk will highlight advising opportunities from outreach, through retention, continuing to graduation, and post graduate interactions that fit within student progress towards their individual careers. Appropriate advising content for a technically rigorous chemical engineering program will be used as examples of how to motivate students towards exploring options and making decisions that open new doors to professional development. The issue explored is that self-determination comes from inside the student and that confidence in personal evaluation is fostered through directed activities throughout students' time with us. Objectives that readers should be able to meet will be: to have the ability to identify points of contact where longitudinal contact can be encouraged to have the knowledge of how to remove impediments to longitudinal advising through reconstruction of advising duties in larger programs with many staff members, or through directed contact with students in smaller departments To have the ability to link student possibilities to exploratory activities that lead to selfdetermination Students in chemical engineering are generally very strong in academic abilities, but often have not been exposed to a breadth of activities and possibilities that enable them to construct their own paths. Sustained advising contact has led to strong statistically-based success of students who have progressed through our program with approximately 30% of our graduates entering top ten chemical engineering graduate programs, 100% student placement of graduates almost every year, and a host of university-based, state, and national awards going to our students. © American Society for Engineering Education, 2009. Blowers, P., & Hollingshead, K. (2009). Estimations of global warming potentials from computational chemistry calculations for CH 2F 2 and other fluorinated methyl species verified by comparison to experiment. Journal of Physical Chemistry A , 113(20), 5942-5950. PMID: 19402663;Abstract: In this work, the global warming potential (GWP) of methylene fluoride (CH 2F 2), or HFC-32, is estimated through computational chemistry methods. We find our computational chemistry approach reproduces well all phenomena important for predicting global warming potentials. Geometries predicted using the B3LYP/ 6-311g** method were in good agreement with experiment, although some other computational methods performed slightly better. Frequencies needed for both partition function calculations in transition-state theory and infrared intensities needed for radiative forcing estimates agreed well with experiment compared to other computational methods. A modified CBS-RAD method used to obtain energies led to superior results to all other previous heat of reaction estimates and most barrier height calculations when the B3LYP/6-311g** optimized geometry was used as the base structure. Use of the small-curvature tunneling correction and a hindered rotor treatment where appropriate led to accurate reaction rate constants and radiative forcing estimates without requiring any experimental data. Atmospheric lifetimes from theory at 277 K were indistinguishable from experimental results, as were the final global warming potentials compared to experiment. This is the first time entirely computational methods have been applied to estimate a global warming potential for a chemical, and we have found the approach to be robust, inexpensive, and accurate compared to prior experimental results. This methodology was subsequently used to estimate GWPs for three additional species [methane (CH 4); fluoromethane (CH 3F), or HFC-41; and fluoroform (CHF 3), or HFC-23], where estimations also compare favorably to experimental values. © 2009 American Chemical Society. Blowers, P., Kim, B. G., Li, X., & Blowers, P. -. (2009). Adsorption energies of mercury-containing species on CaO and temperature effects on equilibrium constants predicted by density functional theory calculations. Langmuir : the ACS journal of surfaces and colloids , 25(5). The adsorption of Hg, HgCl, and HgCl2 on the CaO surface was investigated theoretically so the fundamental interactions between Hg species and this potential sorbent can be explored. Surface models of a 4 x 4 x 2 cluster, a 5 x 5 x 2 cluster, and a periodic structure using density functional theory calculations with LDA/PWC and GGA/BLYP functionals, as employed in the present work, offer a useful description for the thermodynamic properties of adsorption on metal oxides. The effect of temperature on the equilibrium constant for the adsorption of mercury-containing species on the CaO (0 0 1) surface was investigated with GGA/BLYP calculations in the temperature range of 250-600 K. Results show that, at low coverage of elemental mercury, adsorption on the surface is physisorption while the two forms of oxidized mercury adsorption undergo stronger adsorption. The adsorption energies decrease with increasing coverage for elemental mercury on the surfaces. The chlorine atom enhances the adsorption capacity and adsorbs mercury to the CaO surface more strongly. The adsorption energy is changed as the oxidation state varies, and the equilibrium constant decreases as the temperature increases, in good agreement with data for exothermic adsorption systems. Kim, B. G., & Blowers, P. (2009). The adsorption of CO2 on a rumpled CaO (0 0 1) surface and the effect of water vapor investigated by density functional theory. AIChE Annual Meeting, Conference Proceedings . Kim, B. G., Xinxin, L. i., & Blowers, P. (2009). Adsorption energies of mercury-containing species on CaO and temperature effects on equilibrium constants predicted by density functional theory calculations. Langmuir , 25(5), 2781-2789. PMID: 19239190;Abstract: The adsorption of Hg, HgCl, and HgCl 2 on the CaO surface was investigated theoretically so the fundamental interactions between Hg species and this potential sorbent can be explored. Surface models of a 4 × 4 × 2 cluster, a 5 × 5 × 2 cluster, and a periodic structure using density functional theory calculations with LDA/PWC and GGA/BLYP functional, as employed in the present work, offer a useful description for the thermodynamic properties of adsorption on metal oxides. The effect of temperature on the equilibrium constant for the adsorption of mercury-containing species on the CaO (0 0 1) surface was investigated with GGA/BLYP calculations in the temperature range of 250-600 K. Results show that, at low coverage of elemental mercury, adsorption on the surface is physisorption while the two forms of oxidized mercury adsorption undergo stronger adsorption. The adsorption energies decrease with increasing coverage for elemental mercury on the surfaces. The chlorine atom enhances the adsorption capacity and adsorbs mercury to the CaO surface more strongly. The adsorption energy is changed as the oxidation state varies, and the equilibrium constant decreases as the temperature increases, in good agreement with data for exothermic adsorption systems. © Copyright 2009 American Chemical Society. Blowers, P. (2008). Application of multimodal software tools to teach problem solving skills. AIChE Annual Meeting, Conference Proceedings . Blowers, P., & Hollingshead, K. (2008). Environmental foresight through computational chemistry: Hydrofluoroethers and potential impacts. AIChE Annual Meeting, Conference Proceedings . Blowers, P., & Hollingshead, K. (2008). Prediction of global warming potentials through computational chemistry - Testing robustness of methodology through experimental comparisons. AIChE Annual Meeting, Conference Proceedings . Abstract: Global warming is a scientifically based concern regarding addition of naturally occurring and anthropogenic chemicals to the troposphere where the species can trap infrared energy. Predicting global warming potentials requires highly accurate rate constant measurements for the reactions of the chemicals with hydroxyl radicals, which is the first and rate limiting step in tropospheric degradation. Radiative forcing, the amount of energy that can be captured by the chemicals per square meter of exposed area for a given concentration, requires spectroscopic information about peak locations and intensities, which are then aggregated into absorption cross sections. These values are then used in atmospheric modeling simulations to determine the radiative forcing. Both kinetic and spectroscopic measurements have many potential experimental difficulties, which makes predicting global warming potentials (GWPs) from theory attractive. We build on our previous work by examining an emerging class of compounds, fluorinated ethers, using theoretical chemistry to predict GWPs. Previous work investigated CH2F2 and found excellent comparison to experiment for predicting all intermediate steps for GWPs, including kinetic degradation rates with hydroxyl radical under low temperature tropospheric conditions, atmospheric lifetime estimates, radiative forcing in the atmospheric window, and overall GWPs at 20 year, 100 year, and 500 year time horizons. We find good agreement for all parameters for the hydrofluoroethers compared to experimental values. Radiative forcing estimates are also in good agreement with available experimental results. Finally, we now have a larger database of chemicals where we have verified our methodology of accurately predicting global warming potentials using theory. Blowers, P., & Lee, M. (2008). Environmental foresight through computational chemistry: Improved radiative forcing predictions for global warming potentials. AIChE Annual Meeting, Conference Proceedings . Blowers, P., Moline, D. M., Tetrault, K. F., Wheeler, R. R., & Tuchawena, S. L. (2008). Global warming potentials of hydrofluoroethers. Environmental Science and Technology , 42(4), 1301-1307. PMID: 18351109;Abstract: Global warming potentials are estimated for hydrofluoroethers, which are an emerging class of compounds for industrial use. Comparisons are made to the limited data previously available before observations about molecular design are discussed. We quantify how molecular structure can be manipulated to reduce environmental impacts due to global warming. We further highlight the need for additional research on this class of compounds so environmental performance can be assessed for green design. © 2008 American Chemical Society. Blowers, P., Tetrault, K. F., & Trujillo-Morehead, Y. (2008). Global warming potential predictions for hydrofluoroethers with two carbon atoms. Theoretical Chemistry Accounts , 119(4), 369-381. Abstract: Global warming potentials are predicted using computational chemistry and thermodynamics approaches for four hydrofluoroethers where no data have previously been available. We also compare results with the same methodology for six other species. We combine predictions of radiative forcing values from density functional theory computations at the B3LYP/6-31g*level of theory with previous experimentally determined or newly estimated hydroxyl radical-hydrogen abstraction rate constants to obtain these global warming potentials. We find that many of the HFEs studied have lower global warming potentials than the hydrofluorocarbons and chlorofluorocarbons they may soon replace, although other environmental and technical issues may need to be addressed first. © 2007 Springer-Verlag. Kim, B. G., & Blowers, P. (2008). Elemental mercury adsorption study on gehlenite (Ca2Al 2SiO7). AIChE Annual Meeting, Conference Proceedings . Kim, B. G., & Blowers, P. (2008). The adsorption of mercury-species on fixed and rumpled calcium oxide (0 0 1) surfaces investigated by density functional theory. AIChE Annual Meeting, Conference Proceedings . Blowers, P., Moline, D. M., Tetrault, K. F., Wheeler, R. R., & Tuchawena, S. L. (2007). Prediction of radiative forcing values for hydrofluoroethers using density functional theory methods. Journal of Geophysical Research D: Atmospheres , 112(15). Abstract: In this work, we use computational chemistry at the B3LYP/6-31g* level of theory combined with Pinnock's cloudy sky instantaneous radiative transfer model to predict radiative forcing for hydrofluoroether compounds. We validate our predictive ability using the 27 values of cloudy sky radiative forcing reported in the literature before populating a database of 25 other hydrofluoroethers where no radiative forcing data is available. These additional compounds were selected because kinetic data are available for them and one could predict global warming potentials using the work reported here. Copynght 2007 by the American Geophysical Union. Blowers, P., Tetrault, K. F., & Trujillo-Morehead, Y. (2007). Estimation of gas-phase heat capacities for hydrofluoroethers with two carbon atoms. Industrial and Engineering Chemistry Research , 46(20), 6600-6604. Abstract: Density functional calculations at the B3LYP/6-31g* level of theory are used to predict gas-phase heat capacities as a function of temperature for the two-carbon hydrofluoroethers and dimethyl ether. We use equilibrium thermodynamic calculations to determine weighting factors for different rotameric forms to find an observable heat capacity estimate. Hindered rotor corrections were made to the partition functions for these weightings and for the heat capacity contributions for the modes where the harmonic oscillator approximation was inappropriate. We find close agreement with experimental values for the two hydrofluoroethers where heat capacities have been measured and good agreement over a wide temperature range for dimethyl ether. This agreement indicates that the heat capacities we report for the other seven species are accurate and would represent experimental data if it were available in the open literature. This work populates a needed database for the evaluation of these materials as heat transfer media in the temperature range from 100 to 3000 K. © 2007 American Chemical Society. Bo, G. K., & Blowers, P. (2007). A mercury adsorption study on fixed and relaxed CaO surfaces using density functional methods. AIChE Annual Meeting, Conference Proceedings . Zheng, X., & Blowers, P. (2007). The application of composite energy methods to n-butyl radical β-scission reaction kinetic estimations. Theoretical Chemistry Accounts , 117(2), 207-212. Abstract: Hydrocarbon cracking reactions are key steps in petroleum refinery processes and understanding reaction kinetics has very important applications in the petroleum industry. In this work, G3 and complete basis set (CBS) composite energy methods were applied to investigate butyl radical β-scission reaction kinetics and energetics. Experimental thermodynamic and kinetic data were employed to evaluate the accuracy of these calculations. The CBS compound model proved to have excellent agreement with the experimental data, indicating that it is a reliable method for studying other large hydrocarbon cracking reactions. Furthermore, a reaction kinetic model with pressure and temperature effects was proposed. For P ≤ P0, k = 2.04 × 109 × P0.51 × e(-9745.70/T); for P > P 0, k = 9.43 × 1013 × e (-15135.70/T), where k is the reaction rate constant in units of s-1; P is pressure in units of kPa, T is temperature in units of Kelvin, and the switching pressure is P0 = 1.53 × 10 9 × e(-10610.24/T). This model can be easily applied to different reaction conditions without performing additional expensive and complicated calculations. © 2006 Springer-Verlag. Blowers, P. (2006). Environmental applications of computational chemistry. AIChE Annual Meeting, Conference Proceedings . Abstract: The interaction of trichloroethylene (TCE) with iron oxide surfaces as semipermeable iron barriers were implemented for groundwater remediation. The kinetics, mechanisms, and intermediates of degradation of TCE are poorly understood because of the complex phenomena that are difficult to access experimentally. Proper construction of a surface model to simulate the iron oxide has been a primary challenge. This is an abstract of a paper presented at the AIChE Annual Meeting (San Francisco, CA 11/12-17/2006). Blowers, P., Marr, K., Hollingshead, K., Hubler, D., & LaFountain, B. (2006). Prediction of global warming potentials through computational chemistry - Testing robustness of methodology through experimental comparisons. AIChE Annual Meeting, Conference Proceedings . Abstract: Kinetic estimation procedures were improved because a cancellation of errors in the original CH2F2 work that led to accurate kinetic estimates. Variational transition state theory was used as opposed to the original transition state theory. In the original work, the Wigner tunneling correction was used, but this tended to underestimate tunneling corrections due to the use of B3LYP/6-31g* calculations and the limitations of the model. To correct this, higher level calculations were performed at the CCSD and MP4SDQ levels for use with the small curvature tunneling approach. The lowest real vibrational mode along the reaction coordinate was a hindered rotor so this was corrected. The commonly used structural factor was more rigorously assessed with the approach of Truhlar et al. The addition of the four kinetic improvements led to more robust and accurate prediction of rate constants for a host of other chemicals, including CH4, CH3, CHF3, CH3F3, and CH2FCF3. We find good agreement for all kinetic based parameters for these species compared to experimental values. Radiative forcing estimates were also in good agreement with available experimental results. A larger database of chemicals were obtained where the methodology of accurately predicting global warming potentials were completely modified from theory. This is an abstract of a paper presented at the 2006 AIChE National Meeting (San Francisco, CA 11/12-17/2006). Blowers, P., Zheng, X., & Blowers, P. -. (2006). Reactivity of isobutane on zeolites: a first principles study. The journal of physical chemistry. A , 110(7). In this work, ab initio and density functional theory methods are used to study isobutane protolytic cracking, primary hydrogen exchange, tertiary hydrogen exchange, and dehydrogenation reactions catalyzed by zeolites. The reactants, products, and transition-state structures are optimized at the B3LYP/6-31G* level, and the final energies are calculated using the CBS-QB3 composite energy method. The computed activation barriers are 52.3 kcal/mol for cracking, 29.4 kcal/mol for primary hydrogen exchange, 29.9 kcal/mol for tertiary hydrogen exchange, and 59.4 kcal/mol for dehydrogenation. The zeolite acidity effects on the reaction barriers are also investigated by changing the cluster terminal Si-H bond lengths. The analytical expressions between activation barriers and zeolite deprotonation energies for each reaction are proposed so that accurate activation barriers can be obtained when using different zeolites as catalysts. Zheng, X., & Blowers, P. (2006). A computational study of methane catalytic reactions on zeolites. Journal of Molecular Catalysis A: Chemical , 246(1-2), 1-10. Abstract: The cluster approach method is used to study the transition state structures and the activation barriers of methane hydrogen exchange and dehydrogenation reactions catalyzed by zeolites. The reactant and transition state structures are optimized at the B3LYP/6-31g* level, and the energies are calculated using CBS-QB3, a complete basis set composite energy method. The computed activation barriers are 33.53 kcal/mol for the hydrogen exchange reaction and 90.08 kcal/mol for the dehydrogenation reaction. The effects of zeolite acidity on the reaction barriers are also investigated by changing the length of the terminal SiH bonds. Analytical expressions between activation barriers and zeolite deprotonation energies for each reaction are proposed so accurate activation barriers can be obtained when using different zeolites as catalysts. Additionally, transition state theory is applied to estimate the reaction rate constants of the hydrogen exchange and dehydrogenation reactions from calculated activation barriers, and vibrational, rotational and translational partition functions. © 2005 Elsevier B.V. All rights reserved. Zheng, X., & Blowers, P. (2006). First-principle kinetic modeling of the 1-chloroethyl unimolecular decomposition reaction. Industrial and Engineering Chemistry Research , 45(9), 2981-2985. Abstract: In this work, Gaussian-3 (G3) and complete basis set (CBS) composite energy methods combined with canonical transition state theory (CTST) and Rice-Ramsperger-Kassel-Marcus (RRKM) theory were applied to the kinetic modeling of the 1-chloroethyl radical decomposition reaction: *CHClCH 3 → CHClCH 2 + *H. Experimental thermodynamic and kinetic data were employed to evaluate the accuracy of these two composite energy methods. For this reaction, both composite energy methods proved to have good agreement with the experimental data, which indicates they are reliable methods for studying reactions involving other chlorinated hydrocarbons (CHCs). A kinetic model of this reaction with pressure and temperature effects was proposed. For P < P 0, k (s -1) = (7.32 × 10 10)P 0.69 e (-18727.10/T); for P ≥ P 0, k (s -1) = (3.74 × 10 13) e (-20648.10/T), where P is pressure in units of kPa, T is temperature in units of Kelvin, and P 0 = (8.42 × 10 3) e (-2782.61/T). Without performing additional costly calculations, these equations can be easily implemented in different industrial applications with various reaction conditions. © 2006 American Chemical Society. Zheng, X., & Blowers, P. (2006). Kinetic modeling of tert-butyl radical decomposition reaction. AIChE Journal , 52(9), 3216-3221. Abstract: Quantum chemical Gaussian-3 (G3), and complete basis set (CBS) composite energy methods are applied to investigate tert-butyl radical decomposition reaction kinetics and energetics. The available experimental thermodynamic and kinetic data are employed to assess the accuracy of these calculations. The CBS method proves to have good agreement with the experimental data, indicating it is a good method for studying other hydrocarbon cracking reactions involving large species. A kinetic model of the reaction with pressure and temperature effects is also proposed. For P ≤ P 0 k [S -1] = (3.93 × 10 12) × P 0.35 × e(- 17878.5/T; for P > P 0 k [s -1] = (2.0 × 10 13) × e (-18096.0/T) where P is in units of kPa, T in units of Kelvin, and P 0 = (1.04 × 10 2) ×e (-621.43/T). The advantage of this simple kinetic model is that it can be easily applied to different reaction conditions without performing additional costly calculations. © 2006 American Institute of Chemical Engineers. Zheng, X., & Blowers, P. (2006). Kinetic modeling of the propyl radical β-scission reaction: An application of composite energy methods. Industrial and Engineering Chemistry Research , 45(2), 530-535. Abstract: In this work, propyl radical β-scission reaction kinetics and energetics were investigated using quantum chemical Gaussian-3 (G3) and complete basis set (CBS) composite energy methods. Experimental thermodynamic and kinetic data were used to assess the accuracy of these calculations. The CBS model proved to have good agreement with the experimental data, which indicates that it is a good method for studying other hydrocarbon cracking reactions involving large species. Furthermore, a kinetic model with pressure and temperature effects was proposed. For P ≤ P 0, k = (2.59 × 10 11) × P 0.40 × e (-13618.16/T); for P > P 0, k = (2.70 × 10 13) Times; e (-15117.33/T), where k is the reaction rate constant (in units of kPA), T is the pressure (in units of kPa), T is the temperature (in units of Kelvin), and the switching pressure P 0 can be calculated as P 0 = (1.53 × 10 9) × e (-10610.24/T). © 2006 American Chemical Society. Zheng, X., & Blowers, P. (2006). Reactivity of isobutane on zeolites: A first principles study. Journal of Physical Chemistry A , 110(7), 2455-2460. PMID: 16480305;Abstract: In this work, ab initio and density functional theory methods are used to study isobutane protolytic cracking, primary hydrogen exchange, tertiary hydrogen exchange, and dehydrogenation reactions catalyzed by zeolites. The reactants, products, and transition-state structures are optimized at the B3LYP/6-31G* level, and the final energies are calculated using the CBS-QB3 composite energy method. The computed activation barriers are 52.3 kcal/mol for cracking, 29.4 kcal/mol for primary hydrogen exchange, 29.9 kcal/mol for tertiary hydrogen exchange, and 59.4 kcal/mol for dehydrogenation. The zeolite acidity effects on the reaction barriers are also investigated by changing the cluster terminal Si-H bond lengths. The analytical expressions between activation barriers and zeolite deprotonation energies for each reaction are proposed so that accurate activation barriers can be obtained when using different zeolites as catalysts. © 2006 American Chemical Society. Blowers, P. (2005). Effective integration of coursework: Equilibrium thermodynamics as a bridge from material and energy balances and mass transfer to design. AIChE Annual Meeting, Conference Proceedings , 3540-. Abstract: A quick review of syllabi for a variety of engineering courses shows that instructors often do not use prerequisite materials effectively. All universities require some courses that are general in nature and cover core information like writing, mathematics, chemistry, and physics. From a student perception, they often feel that some of these classes are not directly related to their pursuit of an engineering degree. The same phenomena is true of our core courses where students will often compartmentalize each course as a discrete set of information that does not necessarily build on previous courses or they assume is not needed in future courses. When queried, students will deny having ever seen course information in the prerequisites they have completed. Faculty then often cover material again even though they suspect the students have seen it before. This does not effectively use the limited teaching contact time and means that less new material can be covered during the semester. There are several methods for effectively using prerequisites that tie course content together from one semester to the next. One strategy is to give a pre-test at the beginning of the semester that covers the major topics where the students need to demonstrate proficiency. This pre-test should only cover the major competencies and should not be a comprehensive review of only the toughest course content from the prerequisite courses. Evaluation should be quick and should direct students to review material on their own at the beginning of the semester before the first course exam. Another tool for highlighting prerequisite materials is to include large pieces of previous course content as parts of current homework assignments. A concrete example is to require students in their equilibrium thermodynamics course to compute a McCabe-Thiele diagram for distillation if they have already had the mass transfer course. This content should not be reviewed, but students should be directed to their previous notes if they have questions. To be effective, the problem should naturally tie in with the current course content. Students comment after a few assignments that they see the benefit of reviewing information in context and enjoy the opportunities of tying material together. In this work, specific examples from an equilibrium thermodynamics chemical engineering course are used to demonstrate how to implement this strategy in a course along with demonstrating the concrete benefits. Specifically, the incorporation of energy balances, material balances, ternary phase diagrams, and the Clausius-Claperon equation highlight how to bring past material back into focus for students. The use of openended design problems and ASPEN software bridges forward into the future core design course, as does the use of much of the reaction terminology and equations for moving students into reactor design. Blowers, P., Marr, K., & Durham, F. (2005). Use of Ab initio calculations to estimate global warming potentials for Hbrfc's: Atmospheric lifetimes and radiative forcing results. AIChE Annual Meeting, Conference Proceedings , 11541-. Abstract: Global warming potentials are one of the parameters used to evaluate the environmental performance of processes in life cycle assessments. Oftentimes, there is little information available in the standard databases of information about this measure or other environmental parameters. Ab initio calculations can provide accurate information for both atmospheric lifetimes and radiative forcing results used to compile global warming potentials. Computational chemistry methods are particularly well suited for investigating new chemical species before they are introduced into the environment. In this work, three (hydroflurorcarbons) HFC's and a series of hydrobromofluorocarbons (HBrFC's) are evaluated for both atmospheric lifetimes and radiative forcing results using ab initio calculations. Geometry optimizations were done using the B3LYP method and a variety of basis sets to allow comparison to known molecular structures for reactants and products. Once high level geometries were obtained, a modified CBS composite energy method was applied to obtain heats of reaction and activation energies. The calculated results are compared to available data before being used to predict reaction energetics for species that have not been experimentally measured yet. Standard transition state theory was used to predict atmospheric reaction kinetics through the primary initial destruction reaction of hydrogen abstraction by hydroxyl radicals. This information yields atmospheric lifetimes and can be integrated into large scale atmospheric models to predict overall species distributions. Again, calculations were compared to the available experimental data before being used to predict reaction rates for other species. Theoretical calculations to predict vibrational spectra were used to evaluate radiative forcing for the species and the results compared to prior work before being used for new species. The work here shows that ab initio calculations can be used to evaluate the environmental performance of many species, including those that are experimentally intractable to isolate and study. Blowers, P., Zheng, X., & Blowers, P. -. (2005). Reactivity of alkanes on zeolites: a computational study of propane conversion reactions. The journal of physical chemistry. A , 109(47). In this work, quantum chemical methods were used to study propane conversion reactions on zeolites; these reactions included protolytic cracking, primary hydrogen exchange, secondary hydrogen exchange, and dehydrogenation reactions. The reactants, products, and transition-state structures were optimized at the B3LYP/6-31G level and the energies were calculated with CBS-QB3, a complete basis set composite energy method. The computed activation barriers were 62.1 and 62.6 kcal/mol for protolytic cracking through two different transition states, 30.4 kcal/mol for primary hydrogen exchange, 29.8 kcal/mol for secondary hydrogen exchange, and 76.7 kcal/mol for dehydrogenation reactions. The effects of basis set for the geometry optimization and zeolite acidity on the reaction barriers were also investigated. Adding extra polarization and diffuse functions for the geometry optimization did not affect the activation barriers obtained with the composite energy method. The largest difference in calculated activation barriers is within 1 kcal/mol. Reaction activation barriers do change as zeolite acidity changes, however. Linear relationships were found between activation barriers and zeolite deprotonation energies. Analytical expressions for each reaction were proposed so that accurate activation barriers can be obtained when using different zeolites as catalysts, as long as the deprotonation energies are first acquired. Wilcox, J., Blowers, P., & O., J. (2005). An Ab initio investigation of mercury oxidation in combustion flue gases. AIChE Annual Meeting, Conference Proceedings , 11535-. Abstract: Understanding the oxidation pathways of mercury in the flue gases of coal combustion is instrumental to its capture due to the water-soluble nature of oxidized mercury. The model developed in this work is based on theoretical rate constant calculations for the following mercury oxidation reactions involving chlorine species: Hg + Cl + M → HgCl + M (1) Hg + HCl → HgCl + H (2) Hg + Cl2 → HgCl + Cl (3) Hg + Cl2 + M → HgCl2 + M (4) HgCl + HCl → HgCl2 + H (5) HgCl + Cl2 → HgCl2 + Cl (6) HgCl + Cl +M → HgCl2 + M (7) Transition state theory was used to calculate bimolecular rates and RRKM theory was used for the rate calculations involving the unimolecular reactions. Due to mercury having 80 electrons, the most recently developed effective core potentials which include relativistic effects have been used for mercury. Ab initio calculations were carried out using Gaussian98 software at both the QCISD and B3LYP levels of theory using relativistic Stuttgart and SBJK pseudopotentials. The choice of method and basis set combination was validated through a detailed comparison of theoretical geometry and heats of reaction predictions to experimental data available in the literature. A Chemkin derived model was developed based upon the theoretical predictions. The model predicts that mercury cannot be oxidized homogeneously unless chlorine levels are greater than 700 ppm. Xinxin, L. i., & Blowers, P. (2005). A DFT study of mercury capture on paper waste derived sorbents. AIChE Annual Meeting, Conference Proceedings , 10770-. Zheng, X., & Blowers, P. (2005). A computational study of alkane hydrogen-exchange reactions on zeolites. Journal of Molecular Catalysis A: Chemical , 242(1-2), 18-25. Abstract: In this work, quantum chemical methods were applied to study light alkane hydrogen-exchange reactions on a zeolite cluster, RH + H3SiOAlH 2(OH′)SiH3 → RH′ + H3Si(OH) AlH2OSiH3. Methane, ethane, propane, and butane reactions were investigated. The reactants, products, and transition state structures were optimized using the B3LYP density functional theory method and the final energies were calculated using CBS-QB3, a complete basis set composite energy method. The computed activation barriers ranged from 28.32 kcal/mol for secondary hydrogen exchange of butane to 33.53 kcal/mol for methane. The relationship between activation energy and deprotonation energy was also investigated and a linear correlation was proposed in this work. © 2005 Elsevier B.V. All rights reserved. Zheng, X., & Blowers, P. (2005). An ab initio investigation of hydrocarbon radical β-scission reaction kinetics. AIChE Annual Meeting Conference Proceedings , 2005. Abstract: Hydrocarbon thermal cracking reactions are the key steps in petroleum refinery processes, and the mechanism is generally accepted to involve free-radical reactions. The MP2 ab initio method was applied to study β-scission reactions of propyl, butyl, and neopentyl radicals. The CBS-RAD(MP2) method was created as a modification of the CBS-RAD method. The method had the least root mean square error for heats of reaction and activation energy calculations for 15 hydrocarbon cracking reactions with less computational cost compared with the G2 and G3 methods. Work applying Transition State Theory and RRKM theory was done to estimate the reaction rate constants for hydrocarbon cracking reactions. The CBS-RAD(MP2) method had excellent agreement with the experimental data, indicating its reliability as a method for studying other large hydrocarbon cracking reactions. A reaction kinetic model with pressure and temperature effects was also proposed, which could be easily applied to different reaction conditions without performing additional expensive and complicated calculations. This is an abstract of a paper presented at the AIChE Annual Meeting and Fall Showcase (Cincinnati, OH 10/30/2005-11/4/2005). Zheng, X., & Blowers, P. (2005). An ab initio investigation of hydrocarbon radical β-scission reaction kinetics. AIChE Annual Meeting, Conference Proceedings , 11537-. Zheng, X., & Blowers, P. (2005). An ab initio study of ethane conversion reactions on zeolites using the complete basis set composite energy method. Journal of Molecular Catalysis A: Chemical , 229(1-2), 77-85. Abstract: Ab initio methods are used to study the transition state structures and activation energies of ethane cracking, hydrogen exchange, and dehydrogenation reactions catalyzed by a zeolite model cluster. The reactant and transition state structures are optimized by HF and MP2 methods and the final energies are calculated using a complete basis set composite energy method. The computed activation barriers are 71.39 kcal/mol for cracking, 31.39 kcal/mol for hydrogen exchange and 75.95 kcal/mol for dehydrogenation using geometries optimized with the MP2 method. The effects of cluster size and acidity on the reaction barriers are also investigated. The relationships between activation barriers and zeolite deprotonation energies for each reaction are proposed so that accurate activation energies can be obtained when using different zeolites as catalysts. © 2004 Elsevier B.V. All rights reserved. Zheng, X., & Blowers, P. (2005). An investigation of light alkane conversion reactions on zeolites with a cluster approach. AIChE Annual Meeting Conference Proceedings , 2005. Abstract: Light alkane catalytic conversion reactions on zeolites, including methane, ethane, propane, and iso-butane, were studied using density functional theory methods. The effect of zeolite acidity on the light alkane conversion reactions was studied. The calculated activation energies had good agreement with the available experimental data and the absolute errors were within a few kcal/mole. The activation barriers were the largest for dehydrogenation reactions, second highest for cracking reactions, and lowest for hydrogen exchange reactions, indicating the hydrogen exchange reactions were most energetically favorable. The zeolite acidity effect was mimicked by changing the terminating Si-H bond lengths of the zeolite cluster. Linear relationships were found between the activation energies and the deprotonation energies. Applying the correlations, activation energies could be predicted for different zeolite catalysts as long as their deprotonation energies are first acquired. This is an abstract of a paper presented at the AIChE Annual Meeting and Fall Showcase (Cincinnati, OH 1/04/2005). Zheng, X., & Blowers, P. (2005). An investigation of light alkane conversion reactions on zeolites with a cluster approach. AIChE Annual Meeting, Conference Proceedings , 10593-. Zheng, X., & Blowers, P. (2005). Reactivity of alkanes on zeolites: A computational study of propane conversion reactions. Journal of Physical Chemistry A , 109(47), 10734-10741. PMID: 16863122;Abstract: In this work, quantum chemical methods were used to study propane conversion reactions on zeolites; these reactions included protolytic cracking, primary hydrogen exchange, secondary hydrogen exchange, and dehydrogenation reactions. The reactants, products, and transition-state structures were optimized at the B3LYP/ 6-31G* level and the energies were calculated with CBS-QB3, a complete basis set composite energy method. The computed activation barriers were 62.1 and 62.6 kcal/mol for protolytic cracking through two different transition states, 30.4 kcal/mol for primary hydrogen exchange, 29.8 kcal/mol for secondary hydrogen exchange, and 76.7 kcal/mol for dehydrogenation reactions. The effects of basis set for the geometry optimization and zeolite acidity on the reaction barriers were also investigated. Adding extra polarization and diffuse functions for the geometry optimization did not affect the activation barriers obtained with the composite energy method. The largest difference in calculated activation barriers is within 1 kcal/mol. Reaction activation barriers do change as zeolite acidity changes, however. Linear relationships were found between activation barriers and zeolite deprotonation energies. Analytical expressions for each reaction were proposed so that accurate activation barriers can be obtained when using different zeolites as catalysts, as long as the deprotonation energies are first acquired. © 2005 American Chemical Society. Zheng, X., & Blowers, P. (2005). The investigation of hydrocarbon cracking reaction energetics with composite energy methods. Molecular Simulation , 31(14-15), 979-986. Abstract: Hydrocarbo cracking reactions are one of the most commonly encountered reactions in the petroleum industry, and the energetics of the reactions are crucial in understanding the reaction mechanisms and predicting reaction rates. In this work, a modified composite energy method (CBS-RAD(MP2)) is created as a version of the CBS-RAD method which gives accurate energetics for hydrocarbon free radical reactions. It replaces the time consuming QCISD(fc)/6-31g* method in the geometry optimization and frequency calculation steps with MP2(full)/6-31g* level calculations. The accuracy of the new CBS-RAD(MP2) method is compared with the widely used G2, G3 and CBS-QB3 composite methods for predicting heats of reaction and activation barriers of 14 hydrocarbon cracking reactions. We find that the new CBS-RAD(MP2) method has the second least RMS error of 1.22 kcal/mol for heats of reaction calculations. For activation energy calculations, the new CBS-RAD(MP2) method has the least RMS error of 1.37 kcal/mol. Moreover, the CBS-RAD(MP2) method was found to require only 81% of the computational time required compared to the CBS-QB3 method, 32% of G3 and 15% of the G2 method, making it an attractive alternative for predicting hydrocarbon cracking reaction energetics. Zheng, X., Blowers, P., & Zhang, N. (2005). Application of compound models for estimating rate constants of hydrocarbon thermal cracking reactions: The neopentyl radical β-scission reaction. Molecular Simulation , 31(9), 615-621. Abstract: In this work, neopentyl radical β-scission reaction kinetics and energetics are investigated using quantum chemical G3 and Complete Basis Set (CBS) compound models. Experimental thermodynamic and kinetic data are employed to assess the accuracy of these calculations. The CBS model proves to have good agreement with the experimental data, indicating it is a good method for studying other hydrocarbon cracking reactions involving large species. A kinetic model of the reaction with pressure and temperature effects is proposed. For P ≤ P0, k [s-1] = 1.44 × 1012 × P0.29 × exp(-13890.20/T); for P > P0, k[s -1] = 1.04 × 1014 × exp(-16075.80/T), where P is in the units of kPa, T in the units of Kelvin, and P0 = 2.54 × 106 × exp(-7536.55/T). These equations can be easily applied to different reaction conditions without performing additional costly calculations. © 2005 Taylor & Francis Group Ltd.
Blowers, P., & Titus, M. (2004). Use of life-cycle inventory as a screening tool for environmental performance: Supercritical carbon dioxide in the semiconductor industry. Environmental Progress , 23(4), 284-290. Abstract: Supercritical carbon dioxide (scCO 2) is attractive as a green solvent because it has environmental benefits and attractive physical properties for many applications. In addition, removal of supercritical conditions after use can allow perfect separation and recycle of the solvent. In this work, we investigate using scCO 2 as a rinsing agent to replace ultrapure water in semiconductor manufacturing. By conducting a gate-to-gate life-cycle inventory (LCI) of scCO 2 usage, we begin to evaluate the overall environmental impact the process may incur. After conducting the LCI of a particular scCO 2 rinsing process we find the process requires 1 kg of new CO 2 and 0.27 kg of new propylene carbonate per wafer cleaning cycle because of the need for startup, purging, and separation processes. The total pumping requirements are 88 kj/cycle, whereas cooling requirements are 249 kj/cycle and require cooling to 10° C. Heating requirements are 616 kj/cycle and require reaching temperatures of 65° C for cleaning or 25.5° C for separations. Refrigeration cycle requirements add an additional 298 kj/cycle to the energy requirements so the total energy inputs to the process, including the refrigeration, are 1002 kj/cycle. These material and energy needs are much lower than the requirements of the ultrapure water technologies currently in use for wafer rinsing. Companies now have baseline data to evaluate whether this new technology will be suitable for their needs. Finally, throughout any LCI, there are many key assumptions and barriers to obtaining high quality data, which the chemical and environmental engineering communities should begin addressing as more life-cycle inventories and assessments are completed. © 2004 American Institute of Chemical Engineers Environ Prog. Blowers, P., Zhao, H., Case, P., & Swan, J. (2004). Atom economy, expanding boundaries to incorporate upstream reactions. AIChE Annual Meeting, Conference Proceedings , 71-78. Abstract: In this work, we address one of the overall shortcomings of atom economy and the limited scope of the boundaries chosen. While atom economy is not the only measure of a process' sustainability, it is a valid comparison from a materials usage view. With this in mind, many publications in green chemistry focus on atom economy as a method for estimating the environmental impacts of a reaction scheme to reach a desired product. The choice of which reactions are considered in the atom economy analysis, or the system boundaries, plays as great of an importance as it does in performing life cycle assessments. Most applications of atom economy begin their analysis with manufactured intermediates and follow a short chain of reactions to the final products. This ignores any upstream processing that was done to create the intermediates and may skew results to incorrectly favor one of the proposed reaction schemes. Here, we develop a simple expression for atom economy that aggregates overall reaction stoichiometries for a chain of reactions leading from raw materials to the final products. We find that by expanding the boundaries to incorporate upstream manufacturing of raw materials, the overall atom economy changes substantially. In order to fully utilize atom economy, system boundaries must encompass upstream reactions in order to prevent sub-optimal materials usage. In this paper, we calculate the overall atom economy of two reaction schemes for synthesizing 1,3-propanediol. This system was chosen as a case study to highlight the choice of system boundaries. By implementing the aforementioned equation to include the upstream processing reactions it is found that the atom economy of each process is no longer 100% as had been reported previously. Blowers, P., Zhao, H., Case, P., & Swan, J. (2004). Atom economy, expanding boundaries to incorporate upstream reactions. AIChE Annual Meeting, Conference Proceedings . Abstract: One of the overall shortcomings of atom economy and the limited scope of the boundaries chosen were presented. The overall atom economy of two reaction schemes (i.e., the Shell process and Degussa process) for synthesizing 1,3-propanediol was calculated. From a traditional point of view, each process has an atom economy of 100% since all steps of the two reactions are addition reactions. However, since both reactions have different starting materials, it cannot be assumed that the entire reaction schemes for both methods have the same atom economies. To determine which method is truly superior by atom economy standards, each process must be taken to their elementary starting materials. In both cases, this turns out to be water, methane, and propane. Acrolein and H2 have been produced as the reactants for the 1,3-propanediol production from ethane, water, oxygen, and propane. This is an abstract of a paper presented at the AIChE Annual Meeting (Austin, TX 11/7-12/2004). Wilcox, J., & Blowers, P. (2004). Decomposition of mercuric chloride and application to combustion flue gases. Environmental Chemistry , 1(3), 166-171. Abstract: Theoretical rate constants and activation energies are predicted for the decomposition of mercuric chloride through the use of relativistic pseudopotentials for mercury at the B3LYP level of theory. The method and basis set combinations are validated through a comparison of theoretically determined geometries, frequencies, and reaction enthalpies to experimental values found in the literature. In addition, the theoretically predicted rate constants are compared to rate constants that have been predicted through combustion modelling of this reaction. © CSIRO 2004. Wilcox, J., & Blowers, P. (2004). Some comments on 'A study on the reaction mechanism and kinetic of mercury oxidation by chlorine species' [J. Mol. Struct. (Theochem) 625 (2003) 277]. Journal of Molecular Structure: THEOCHEM , 674(1-3), 275-278. Abstract: In this paper, we comment on a recent article where mercury speciation reaction kinetics were reported. We examine certain difficulties and flaws in the theoretical treatment given in the recent article. In addition, we provide accurate geometries and heats of reaction results to validate a different quantum mechanical method and basis set combination which we encourage for use in theoretically calculating rate constants for mercury oxidation reactions involving chlorine. © 2004 Elsevier B.V. All rights reserved. Wilcox, J., Marsden, D. C., & Blowers, P. (2004). Evaluation of basis sets and theoretical methods for estimating rate constants of mercury oxidation reactions involving chlorine. Fuel Processing Technology , 85(5), 391-400. Abstract: The occurrence of elemental mercury in flue gases from coal combustion is a problem of current environmental concern. Oxidized mercury species can be effectively removed from the flue gases by chemical scrubbers. However, the detailed mechanism by which oxidation occurs remains unclear. Theoretical rate constants are calculated for mercury oxidation by atomic chlorine. The potential energy surface is determined using standard quantum chemical methods with relativistic effects included via the use of an effective core potential (ECP). Experimental thermodynamic and kinetic data are employed to assess the accuracy of these calculations. Results show that the QCISD method with the 1992 basis set of Stevens et al. gives good agreement with experiment, suggesting that this combination may be useful for other mercury-chlorine chemical systems. © 2003 Elsevier B.V. All rights reserved. Zheng, X., & Blowers, P. (2004). Quantum chemical prediction of hydrocarbon cracking reactions. AIChE Annual Meeting, Conference Proceedings , 1053-1060. Abstract: For many years, researchers have been developing theoretical methods of estimating reaction rates and energetics when experimental measurements are not available. Recent advances have led to composite energy methods with near chemical accuracy. The performance of these new methods for predicting activation energies and rate constants have not been evaluated for large hydrocarbon cracking reactions. In this work, ab initio methods are used to study the transition state structures and activation energies of ethane cracking, hydrogen exchange and dehydrogenation reactions catalyzed by zeolites. The reactant and transition state structures are optimized by HF and MP2 methods and the final energies are calculated using a Complete Basis Set composite energy method. The computed activation barriers are 71.39 kcal/mol for cracking, 31.39 kcal/mol for hydrogen exchange and 75.95 kcal/mol for dehydrogenation using geometries optimized with the MP2 method. The cluster effect and acidity effect on the reaction barriers are also investigated. The relationship between activation barriers and zeolite deprotonation energies for each reaction are proposed so that accurate activation energies can be obtained when using different zeolites as catalysts. Zheng, X., & Blowers, P. (2004). Quantum chemical prediction of hydrocarbon cracking reactions. AIChE Annual Meeting, Conference Proceedings , 10693-10700. Zheng, X., & Blowers, P. (2004). Quantum chemical prediction of hydrocarbon cracking reactions. AIChE Annual Meeting, Conference Proceedings . Abstract: Ab initio methods are used to study the transition state structures and activation energies of ethane cracking, hydrogen exchange, and dehydrogenation reactions catalyzed by zeolites. The reactant and transition state structures are optimized by HF and MP2 methods and the final energies are calculated using a Complete Basis Set composite energy method. The computed activation barriers are 71.39 kcal/mole for cracking, 31.39 kcal/mole for hydrogen exchange and 75.95 kcal/mole for dehydrogenation using geometries optimized with the MP2 method. The barrier was the highest among all three ethane conversion reactions, indicating it is the most difficult reaction to take place. The relationship between activation barriers and zeolite deprotonation energies for each reaction are proposed so that accurate activation energies can be obtained when using different zeolites as catalysts. This is an abstract of a paper presented at the AIChE Annual Meeting (Austin, TX 11/7-12/2004). Blowers, P., Wilcox, J., Robles, J., Marsden, D. C., & Blowers, P. -. (2003). Theoretically predicted rate constants for mercury oxidation by hydrogen chloride in coal combustion flue gases. Environmental science & technology , 37(18). In this work, theoretical rate constants are estimated for mercury oxidation reactions by hydrogen chloride that may occur in the flue gases of coal combustion. Rate constants are calculated using transition state theory at the quadratic configuration interaction (QCI) level of theory with single and double excitations, and are compared to results obtained from density functional theory, both including high level pseudopotentials for mercury. Thermodynamic and kinetic data from the literature are used to assess the accuracy of the theoretical calculations when possible. Validation of the chosen methods and basis sets is based upon previous and current research on mercury reactions involving chlorine. The present research shows that the QCISD method with the 1992 Stevens et al. basis set leads to the most accurate kinetic and thermodynamic results for the oxidation of mercury via chlorine containing molecules. Also, a comparison of the heats of reaction data for a series of mercury oxidation reactions reveals that the density functional method, B3LYP, with the 1997 Stuttgart basis set provides reasonably accurate results for these large systems. Blowers, P., Zheng, X., & Homan, K. (2003). Assessment of the suitability of using the composite G2, G3, and CBS-RAD methods for predicting activation energies. Chemical Engineering Communications , 190(9), 1233-1248. Abstract: In this work, the accuracy of the G2, G3, and CBS-RAD methods for predicting activation barriers of ligand transfer reactions is investigated. We find that the zero point corrected G2 method has an RMS error of 3.82 kcal/mol for activation barriers. The G3 method has an RMS error of 4.16 kcal/mol. After adding thermal corrections to the G2 and zero point corrected results, the RMS error for the G2 method is 4.92 kcal/mol, while the error for the G3 method is 4.55 kcal/mol. In contrast, the CBS-RAD method has errors of 3.80 kcal/mol for zero point energy corrected activation energies, and 2.82 kcal/mol for thermally corrected results. The G3 method was found to require only 40% of the computational time required for the G2 method, making it an attractive alternative for predicting activation energies yielding errors of about 4 kcal/mol. The CBS-RAD method has a computational cost four times greater than that of the G2 method and gives an improvement of only about 1 kcal/mol. Wilcox, J., Robles, J., C., D., & Blowers, P. (2003). Theoretically predicted rate constants for mercury oxidation by hydrogen chloride in coal combustion flue gases. Environmental Science and Technology , 37(18), 4199-4204. PMID: 14524453;Abstract: In this work, theoretical rate constants are estimated for mercury oxidation reactions by hydrogen chloride that may occur in the flue gases of coal combustion. Rate constants are calculated using transition state theory at the quadratic configuration interaction (QCI) level of theory with single and double excitations, and are compared to results obtained from density functional theory, both including high level pseudopotentials for mercury. Thermodynamic and kinetic data from the literature are used to assess the accuracy of the theoretical calculations when possible. Validation of the chosen methods and basis sets is based upon previous and current research on mercury reactions involving chlorine. The present research shows that the QCISD method with the 1992 Stevens et al, basis set leads to the most accurate kinetic and thermodynamic results for the oxidation of mercury via chlorine containing molecules. Also, a comparison of the heats of reaction data for a series of mercury oxidation reactions reveals that the density functional method, B3LYP, with the 1997 Stuttgart basis set provides reasonably accurate results for these large systems. Williams, B., & Blowers, P. (2003). A quantitative investigation into whether the publication of engineering pedagogical material is an indicator of value in 'Rankings' when assessing instruction. ASEE Annual Conference Proceedings , 3815-3828. Abstract: The role of publication of engineering pedagogical material as an indicator of value in rankings while assessing instruction is discussed. The literature citations involving the pedagogical development of engineering are analyzed and correlated with engineering undergraduate school ranking using a popular magazine rating service. It is found that changing from one weighting system to another equally valid one led to completely different rankings with school moving places into different ranking quartile. It is observed that undergraduate contributions to technical papers are not viewed as being very important to the overall work. Williams, B., & Blowers, P. (2003). Deconstruction of an engineering syllabus for information literacy. ASEE Annual Conference Proceedings , 3565-3573. Abstract: Information literacy skill sets provide the foundation for lifelong learning, and the desire to produce engineers with these skills has necessitated the collaboration between librarians and faculty to meaningfully integrate information literacy instruction into the engineering undergraduate curriculum. Two specific criteria of the Accreditation Board for Engineering and Technology (ABET) such as the ability to formulate problems, and knowledge of contemporary issues, rely on a student's ability to locate and synthesize information in its various formats. Developing information literacy skills will allow students to exert more control over the structuring of their own learning within and beyond the classroom. This discourse begins by examining some of the tangible and marketable benefits of information literate engineering students. This is followed by an examination of a successful collaboration between an engineering faculty and a librarian in the instruction of undergraduate and graduate students in becoming more information savvy. More often than not, students begin their research process by "surfing the net" yet the Internet appears to skew a student's ability to discern between refereed and non-refereed materials. As faculty we have all found it disheartening to have students submit technical reports in which most of the citations are to web pages. To highlight the need for incorporating information literacy into the engineering curriculum, we deconstruct an engineering syllabus and identify areas in several course assignments where information literacy can be interjected in a nonintrusive but highly beneficial way. We identify the components of information literacy that support and provide transferable skills to ensure that students are successful in future information seeking endeavors. Blowers, P. (2002). A course on freshman survival skills. ASEE Annual Conference Proceedings , 817-829. 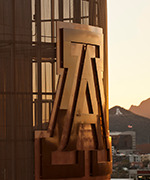 Abstract: The University of Arizona has created a year-long, one credit seminar course for freshmen and transfer honors students who are beginning their educational careers in engineering. This course is designed to make students aware of the opportunities that lie ahead of them and to give them some skills to help them deal with adversity. Course topics were selected with an eye towards when students would make the best use of the materials. Short assignments were selected to encourage the students to reflect upon the discussions and take positive actions in their daily activities. Blowers, P. (2002). Breaking the curve - Why a straight-scale is appropriate in engineering courses. ASEE Annual Conference Proceedings , 759-766. Abstract: Several points related to curved grading scales based upon statistical assumptions are discussed. ABET accreditation requires that the students should be well versed in communication and teamwork skills when they graduate. A curved grading scale inherently sets up competition between classmates because any aid they give to another student may raise the class average, making it harder for them to receive a high grade. This sense of competition may prevent students from forming true collaborations on their team projects and may prevent them from learning how to effectively communicate. It is suggested that all engineering courses should be taught on straight scales. Blowers, P. (2002). Course syllabus construction: A stitch in time saves nine. ASEE Annual Conference Proceedings , 595-600. Abstract: Syllabus construction and the way a syllabus is planned are discussed. A clear guiding policy also puts students at ease and lets them know what to do to succeed in the course. A syllabus is the perfect opportunity to provide all this information to students so they can achieve success in their classes. A complete syllabus also benefits the professor by reducing compliants and by focussing the lecture and exam materials on the important topics. Blowers, P. (2002). Use of interactive web-based examples in engineering courses. ASEE Annual Conference Proceedings , 985-993. Abstract: The use of web-based instructional materials to increase educational opportunities for those who cannot attend traditional classes are discussed. Students are required to work through the examples and then to generate a list of questions about the material to identify where their difficulties lie. Distance learning is one scenario where web-based materials have been used successfully when face-to-face interacctions are not possible. Interactivity and the ability to present materials in non-static formats are two ways to make supplemental web-based materials useful. Blowers, P., & Masel, R. (2000). Engineering approximations for activation energies in hydrogen transfer reactions. AIChE Journal , 46(10), 2041-2052. Abstract: Previous investigators have often used the Polanyi relationship, extensions due to Seminov, or the BOC-MP/UBI-QEP relationship to estimate activation barriers in complex reaction networks. However, these relationships are not accurate for many reactions. In this article, a new engineering approximation for the estimate of activation barriers is presented. The approximation allows one to estimate barriers analytically, using known heats of reaction and one adjustable parameter, the intrinsic barrier. The equation was fit to the recommended values of activation energies for all 151 independent hydrogen transfer reactions in the NIST tables. All but nine of the reactions are fit within ± 4 kcal/mol. Of the nine failures, seven of the data points came from previous estimates, and may not be accurate. By comparison, Seminov's relationship fails for 47 of the reactions even though the Seminov relationship has three adjustable parameters compared to one in our approximation. The BOC-MP/UBI-QEP method gives errors of more than 10 kcal/mol for all 151 reactions and errors of more than 30 kcal/mol for many of the reactions. These results show that the new approximation is a significant improvement over the approximations that are currently in use. Blowers, P., & Masel, R. I. (2000). Calculated Vibrational Spectra for CHnOHm Species. Journal of Physical Chemistry A , 104(1), 34-44. Abstract: There is a lack of reference vibrational spectra in the literature for many species that have been postulated to form on metal surfaces. In this paper we calculate high-quality reference spectra for a series of molecules of the form CHnOHm. Specifically, we looked at the neutral, charged, and excited charged forms of CH3OH, CH3O, CH3OH2, CH2O, CH2OH, CHO, and HCOH. These calculations were done using scaled MP2(full)/ 6-31g *, scaled B3LYP/6-31g*, scaled QCIST/6-31g*, and scaled MP2/6-311+G(2d,p) level. The result is a consistent set of reference spectra for a series of molecules of current interest. Blowers, P., & Masel, R. I. (2000). Extensions of the Marcus equation for the prediction of approximate transition state geometries in hydrogen transfer and methyl transfer reactions. Theoretical Chemistry Accounts , 105(1), 46-54. Abstract: The objective of this work is to propose a way to calculate approximate transition state geometries that can then be used as initial guesses in ab initio calculations. Transition state geometries are calculated for 26 hydrogen transfer reactions and 6 methyl transfer reactions at the MP2/6-31G* and MP2/6-311 + +G(d,p) levels. Selected cases are also done at other levels including CCSD(T)/6-311 + + G(d,p). The transition state geometry obeys an equation which arises from an extension of the Marcus equation proposed by Blowers and Masel : rtB + rtF/rB,equ + rF,equ = 1.25 ± 0.04 In this equation, rB,equ is the equilibrium bond length for the bond that breaks during the reaction, rF,equ is the equilibrium bond length for the new bond which forms. rtB and rtF are the bond lengths at the saddle point in the potential energy surface. rtB and rtF are found to obey (equation presented) with an average error of 0.04 Å. In the last two equations above, ΔU is the heat of reaction. E0A is the intrinsic barrier, and CA is a constant that comes from the model of Blowers and Masel . It is proposed that the above three equations are useful in generating initial guesses for transition state geometries in ab initio calculations. In the cases that were tried, rapid convergence was found when these guesses were used. Blowers, P., & Masel, R. I. (1999). An Extension of the Marcus Equation for Atom Transfer Reactions. Journal of Physical Chemistry A , 103(35), 7047-7054. Abstract: The Marcus equation for electron transfer has been widely applied to atom transfer reactions, but the equation does not seem to work well for very endothermic or very exothermic reactions. In this paper, a modified model is proposed. The modified model assumes that the potential energy surface can be written as a sum of the potentials for the individual molecules and an intermolecular potential that keeps the reactants apart. The activation barrier predicted by the model is within 3 kcal/mol of that predicted by the Marcus electron transfer equation when - 1 ≤ ΔHr4Ea° ≤ 1, where ΔHr is the heat of reaction and Ea° is the intrinsic barrier. However, there are significant deviations when ΔHr/4Ea° < - 1 and when ΔHr/4Ea° > 1. The modified model predicts that the activation barrier should equal ΔHr4Ea° in the very endothermic limit, (i.e., ΔHr/4Ea° > 1), while the Marcus electron transfer equation predicts that the activation energy, Ea, should diverge from ΔHr. Data shows that Ea approaches ΔHr. The modified model predicts that the activation barrier goes to zero for very exothermic reactions, (i.e., ΔHrEa° < - 1) while the Marcus electron transfer equation predicts large barriers. Data shows, though, that the barriers approach zero. We also compare to the Marcus hyperbolic cosine expression and find that the modified model is within 3 kcal/mol of the Marcus hyperbolic cosine expression over the entire energy range. The modified model predicts that the barriers to reaction are associated with Pauli repulsions and not with bond stretching. That prediction agrees with recent ab initio calculations, and the VB model but not with the intersecting parabola model. Overall, the modified model seems to extend the original Marcus equation to very endothermic and very exothermic reactions. Also, it gives predictions similar to the Marcus hyperbolic cosine expression over the entire energy range. Blowers, P., & Masel, R. I. (1999). Use of Buckingham potentials in engineering approximations for chemical kinetics. AIChE Journal , 45(8), 1794-1801. Abstract: Previous investigators have often used the Polanyi relationship to correlate activation barriers for series of reactions. The correlations often work, but a different Polanyi relationship is needed for each class of reactions. As a result, the correlations are difficult to extrapolate to new situations. In this article, we suggest new correlations that show greater capability to correlate rate data. Quantum mechanical calculations are clone which indicate that the main barriers to ligand exchange reactions are associated with getting the reactants close enough to react. The energy to get the reactants close enough to react can be calculated from a united-atom Buckingham potential and correlated to rate data. The additional correlating parameter allows the activation energies for a series of hydrocarbon reactions to be collapsed onto a single line. The root-mean-square error of the line is 2 kcal/mol compared to 7 kcal/mol with the Polanyi relationship alone. This shows that our new correlating parameter will be useful in engineering approximations in kinetics. Blowers, P., Chen, N., & Masel, R. I. (1999). Formation of hydronium and methoxonium on Pt(110): Ab initio determination of spectroscopically observed species. Journal of Vacuum Science and Technology A: Vacuum, Surfaces and Films , 17(4), 1750-1755. Abstract: Previously, other researchers have examined the coadsorption of water and hydrogen on Pt(111) with electron energy loss spectroscopy (EELS) and have seen the formation of a new species. This new species was originally designated to be a "hydronium" species, where hydronium referred to H3O+ surrounded by water. However, the formation of H3O+ on platinum has not been widely accepted in the literature because the formation of a bare H3O+ not surrounded by water is not a thermodynamically favored process. In this work, we use ab initio calculations at the MP2(full)/6-31g* level to predict the gas phase frequencies for a host of water and water-cluster species. These frequencies are compared to high resolution EELS spectra to identify which species form on Pt(110). We find that H5O+2, H7O+3, and H9O+4 fit the EELS spectra quite well, while H3O, H3O-, and H3O+ do not show the right vibrational modes. We have also done similar calculations for methanol. Methanol has a higher proton affinity than water, so it seems possible that methanol could also form a positively charged species like methoxonium, CH3OH+2. Once again, EELS spectra show a new species forms on Pt(110). Ab initio calculations are compared to a high resolution EELS spectrum of hydrogen coadsorbed with methanol on platinum. The most likely species to form here is methoxonium, possibly in a methanol cluster. This conclusion is supported by additional spectra of deuterated species that show the correct isotopic shifts in frequencies predicted by calculations. The conclusion from our study is that ions can form during coadsorption of hydrogen and water and hydrogen and methanol on Pt(110). The ions are probably hydrated, but the further EELS evidence strongly supports ion formation. © 1999 American Vacuum Society. Chen, N., Blowers, P., & Masel, R. I. (1999). Formation of hydronium and water-hydronium complexes during coadsorption of hydrogen and water on (2x1) Pt (110). Surface Science , 419(2-3), 150-157. Abstract: In the previous literature, people have found that a new species forms when hydrogen and water coadsorb on various faces of platinum. The new species was identified as "hydronium" based on a preliminary analysis of electron energy loss spectroscopy (EELS) spectra. At present, this assignment is not well accepted in the literature since thermodynamically a bare hydronium ion would not be stable on platinum. In this paper we do the measurements and the calculations to tie down the identity of the species. Ab initio methods are used to estimate the vibrational spectrum of H3O+ , and [(H2O)xH+] with x = 2, 3 or 4, H3O radicals, H2-H2O complexes and H3O-. We then measured better quality EELS spectra than had appeared in the previous literature for coadsorption of hydrogen and water on Pt(110). By comparing our experimental spectra and calculated spectra, we found the calculated spectrum of H5O+2 and H7O+3 fit our experimental data the best. These results suggest that the species which forms when hydrogen and water coadsorb on platinum is a cationic species similar to hydronium. It is probably not H3O+. However, it is likely that the surface includes a mixture of hydrated intermediates such as H5O+2, H7O+3 and H9O+4. © 1999 Elsevier Science B.V. All rights reserved. Ford, L. P., Blowers, P., & Masel, R. I. (1999). Role of steps and kinks in catalytic activity. Journal of Vacuum Science and Technology A: Vacuum, Surfaces and Films , 17(4), 1705-1709. Abstract: In the literature, there is the idea that steps and kinks are the active sites for chemical reactions, but the experimental data are far from convincing. In this article we see if there is a correlation between step atom density, van Hardeveld and Hartog coordination numbers, or the electronic coordination number and reactivity for a number of simple decomposition and hydrogenolysis reactions on platinum as measured by temperature-programmed desorption. We have examined reactions of ethylene nitric oxide, and methanol on (111), (110)-(×1), (110)-(2×1), (100)-hex, (100)-(×1), (210) (511) and (331) platinum surfaces. We have done a statistical analysis of our data to see it any of the correlations are non-negligible. We find that, in general, stepped surfaces have different reactivity than close-packed planes, but some stepped surfaces are more active than Pt(111) while others are less active than Pt(111). There are negligible correlations between step atom density and catalytic activity for our reactions. Similarly, there are negligible correlations between reactivity and the lowest or average van Hardeveld and Hartog coordination numbers. Calculations were done to understand the variations. There are correlations between the lowest electronic coordination number and reactivity for only the reaction of methanol to carbon dioxide, and between the average electronic coordination number and reactivity for the reaction of methanol to methane. The first correlation is not surprising considering the special nature of the rate-limiting step of this reaction. The second correlation raises many yet-unanswered questions. We find that, in general stepped surfaces relax to more stable geometries. The relaxation process raises the electronic coordination number of the surface atoms. After relaxation, there is not a large difference between the coordination of atoms of platinum stepped surfaces and Pt(111). © 1999 American Vacuum Society. Ford, L. P., Blowers, P., Chen, N. C., Lee, I. C., & Masel, R. I. (1999). Uv/HREELS measurements of the excited states of adsorbed CO: Benchmarks for ab initio calculations. Surface Science , 419(2-3), 144-149. Abstract: Recently there has been some controversy about CO adsorption on platinum, with some researchers supporting the Blyholder model and others saying that corrections are needed. We have used UV/HREELS to examine the electronic structure of adsorbed CO to distinguish between the various models. We have found that the 5σ to 2π* triplet peak shifts from 6.2 to 5.6 eV upon adsorption while the 5σ to 2π* singlet peak shifts from 8.3 to 8.2 eV. Both peaks also broaden, as expected from the Blyholder model. A comparison of these results to previous calculations shows that only Hückel calculations predict a shift that is within 0.5 eV of the experimental shift. Most of the previous calculations predict shifts that are in the wrong direction. © 1999 Elsevier Science B.V. All rights reserved. Thomas, F., Chen, N., Lee, I., Ford, L., Blowers, P., & Masel, R. I. (1999). Ultraviolet/high resolution electron energy loss spectroscopy of CO on Pt(110) and benzene on Pt(110). Journal of Vacuum Science and Technology A: Vacuum, Surfaces and Films , 17(4), 2339-2344. Abstract: Recently there has been some controversy about how CO and benzene adsorb on platinum. With CO, there is disagreement over whether there is back donation of electrons from the metal to the CO 2 π* orbital. With benzene, there is disagreement, over whether benzene adsorbs in a distorted state. In this article we use a standard high resolution electron energy loss (HREELS) spectrometer with modified electronics to measure the equivalent of a ultraviolet (UV) spectrum for two different systems: CO on Pt(110) and benzene on Pt(110) and benzene on Pt(110). In the case of CO, the UV spectrum shows peaks at 5.6 and 8.2 eV that may shift slightly with coverage. By comparison, gas-phase CO shows peaks at 6.2 and 8.3 eV. The difference between the gas-phase peak positions and those on the surface are indicative of the antibonding orbitais being stabilized, as one would expect from the Blyholder model. With benzene we observe two different spectra: a first monolayer spectrum with a broad peak centered at 4.9 eV, and a multilayer spectrum with peaks at 0.75, 3.82, 4.71, 6.20, and 6.84 eV. The multilayer spectrum matches the spectrum of condensed benzene, while the first monolayer spectrum is quite different and resembles that of a diene. Together, these results show that UV/HREELS spectroscopy provides useful information about adsorbates on surfaces. © 1999 American Vacuum Society. Blowers, P., & Masel, R. (1998). Conservation of bond order during hydrogenolysis and dehydrogenation reactions. Surface Science , 417(2-3), 238-246. Abstract: Previous investigations have used bond-order conservation to make useful predictions about surface phenomena, but the accuracy of bond-order conservation for complicated processes is unknown. In this paper, we use ab-initio calculations at the MP2 = (full)/6-31g* level to investigate bond-order conservation, and its implications, for the following gas-phase reactions: H* + CH3OH →CH3H*+ OH, H* + CH3OH→HOH* + CH3, H*+ CH3OH →HH*+ CH2OH, H*+ CH3OH →HH*+ CH3O, H* + CH3OH→H + CH2H*OH, H* + CH3OH→H + CH3OH*. We find that bond order is approximately conserved during the atom transfer reactions, but is not conserved during hydrogenolysis reactions. The transition state is predicted to be too early for hydrogen exchange on oxygen, too late for the hydrogenolysis reactions, and about right for the hydrogen transfer reactions. Even though the transition-state structures are not well represented using conserved total bond order, the energies of the barriers predicted this way are off by only 1-2 kcal mol-1. Physically, the potential energy surfaces are so flat near the transition state that errors in geometry do not produce significant errors in energy. Consequently, although bond-order conservation does not predict the correct transition states geometry the energies of the transition state predicted with bond-order conserved pathways are very close to their ab initio values. © 1998 Elsevier Science B.V. All rights reserved. Blowers, P., & Masel, R. I. (1998). Conservation of bond order during radical substitution reactions: Implications for the BEBO model. Journal of Physical Chemistry A , 102(48), 9957-9964. Abstract: The bond energy-bond order model has been used extensively to predict behaviors and energetics of species where ab initio calculations are still too expensive. However, the accuracy of bond order conservation, even for small polyatomic systems, is still unknown. In this paper, we use ab initio calculations at the PMP2 = (full)/6-31 g* and G-2 level to examine bond order conservation for the following gas-phase radical substitution reactions: H* + CH3OH → CH3H* + OH, H* + CH3OH → HOH* + CH3, H* + CH3OH → HH* + CH2OH, H* + CH3OH → HH* + CH3O, H* + CH3OH → H + CH2H*OH, H* + CH3OH → H + CH3-OH*. We find that total bond order is approximately conserved during atom transfer reactions, but is not conserved during the more complicated hydrogenolysis reactions or during hydrogen exchange on oxygen. An early transition state is predicted for hydrogen exchange on oxygen, and late ones for the hydrogenolysis reactions. Even though the transition state structures may differ greatly from the ab initio predictions, the barrier heights predicted with bond order conservation are only incorrect by 1-2 kcal/mol. This behavior arises because the potential energy surfaces are relatively flat in the region where the transition states are found. Consequently, the energies of the transition state predicted with either method are in close agreement, even though the structures are poorly represented by bond order conservation methods. Blowers, P., Ford, L., & Masel, R. (1998). Ab initio calculations of the reactions of hydrogen with methanol: A comparison of the role of bond distortions and pauli repulsions on the intrinsic barriers for chemical reactions. Journal of Physical Chemistry A , 102(46), 9267-9277. Abstract: People often view barriers to reaction as being associated with either bond stretching and distortion or with curve-crossings on a potential energy surface. However, another important contribution to barriers to reaction comes from the energy required to push the reactants together. In this paper we used ab initio methods at various levels including G2.MP2/6-31G* and QCISD(T)/6-311g** to assess the contributions from bond distortions, the curve-crossing, and the energies to move the reactants together for the following reactions: H′ + CH3OH → HH′ + CH2OH; H′ + CH3OH → HH′ + CH3O; H′ + CH3OH → H + CH2H′OH; H′ + CH3OH → H + CH3OH′; H′ + CH3OH → CH3H′ + OH; H′ + CH3OH → CH3 + OHH. We find that the activation barriers correlate very well with the energy to move the reactants together. However, there is little correlation between the activation barriers and either the energy of the curve-crossing or the bond distortion energy. Physically, orbitals distort when the reactants come together. These distorted orbitals have contributions from many states which are not occupied in either the reactants or products. As a result, the physical picture of the reaction as a curve-crossing does not work. We provide a new physical picture in this paper, where the main barrier to reaction is associated with bringing the reactants together and populating the states which are not occupied in either the reactants or products. In this picture, bond distortion lowers the barriers to reaction by reducing the stresses associated with orbital overlap between the reactants. At this point, we do not know if these are general results or results specific to these reactions. However, if they are general, then the ideas we use to think about a reaction, or a reaction coordinate, will need to be rethought. Chen, N., Blowers, P., & Masel, R. I. (1998). Evidence for carbocation formation during the coadsorption of methanol and hydrogen on Pt(110). Surface Science , 418(1), 329-341. Abstract: There are reasons to suspect that carbocations can form during hydrocarbon adsorption on metal surfaces, but so far no one has observed a carbocation on any metal surface spectroscopically. In this paper, we examine the coadsorption of methanol and hydrogen on Pt(110) to see whether a methoxonium species [CH3OH2]+ can form. We find that a new species does form when we coadsorb hydrogen and methanol on Pt(110) at 100 K and then heat to 200 K. The new species has an EELS spectrum which is consistent with the one expected for a methoxonium ion, and has the isotopic shifts expected for methoxonium. Comparison to the EELS spectrum estimated from ab initio calculations is used to verify the EELS assignment, and to rule out the possibility that a methoxonium radical or other similar species is formed instead. We also observe the chemistry expected when a carbocation forms (i.e. dehydration). These results provide strong evidence that methoxonium forms when hydrogen and methanol coadsorb on platinum. This is the first time that a carbocation has been observed spectroscopically on a metal surface. © 1998 Published by Elsevier Science B.V. All rights reserved. Ford, L. P., Nigg, H. L., Blowers, P., & Masel, R. I. (1998). The role of step atom density on the binding and reaction of surface species. Journal of Catalysis , 179(1), 163-170. Abstract: Temperature-programmed desorption was used to examine the adsorption and reaction of CO, H2, O2, NO, CH3OH, and C2H4 on several surfaces of platinum to see if there is a correlation between the atom density of step atoms and reactivity. Small variations in the desorption activation energy of hydrogen, oxygen, carbon monoxide, ethylene, and methanol were found the changing crystal face. However, on platinum surfaces, there was no correlation between the desorption activation energy and the step atom density. Reactivity was found to vary greatly with the crystal face. However, no correlation was found between the step atom density and the reactivity for the hydrogenolysis of ethylene to methane, for the decomposition of methanol to carbon monoxide, for the hydrogenolysis of methanol to methane, for the oxidation of methanol to carbon dioxide, for the oxidation of methanol to formaldehyde, or for the decomposition of nitric oxide to nitrogen and oxygen. Only for the self-hydrogenation of ethylene to ethane on platinum surfaces did the reactivity have any correlation with step atom density, and this correlation did not carry through to steady-state experiments. From our study, it appears that the active site for reaction is often not simply a step site. Rather, the active site consists of a special arrangement of step and terrace atoms that are aligned correctly to produce high reactivity. © 1998 Academic Press. Lee, W. T., Ford, L., Blowers, P., Nigg, H. L., & Masel, R. I. (1998). Why do heats of adsorption of simple gases on platinum surfaces vary so little with surface structure?. Surface Science , 416(1-2), 141-151. Abstract: Heats of adsorption of atoms on metal surfaces have been measured for many years. One key unexplained observation is that experimental heats of adsorption vary only modestly with changing surface structure. The heats of adsorption of most simple molecules on stepped or kinked surfaces are very similar to their heats of adsorption on closely packed planes, even though the coordination numbers of the atoms in the stepped surfaces can be quite different from those in the flat surface. At present, these experimental observations are largely unexplained. In this paper, we discuss one possible reason why heats of adsorption show so little variation with surface structure. The embedded atom method was used to calculate how much the coordinative unsaturation of a stepped surface changes due to surface relaxations. We find that surface relaxation reduces the coordinative unsaturation. We define an electronic coordination number for the surface atoms and show that the average electronic coordination number of the atoms in a relaxed stepped surface is always about nine: i.e. almost the same as Pt(111). This similarity of the electronic coordination numbers among surfaces after relaxation provides a possible explanation of why heats of adsorption of gases on platinum vary so little with surface structure. © 1998 Elsevier Science B.V. All rights reserved. Uusi-Penttilä, M., Richards, R. J., Blowers, P., Torgerson, B. A., & Berglund, K. A. (1996). Liquid-liquid equilibria of selected dibasic ester + water + solvent ternary systems. Journal of Chemical and Engineering Data , 41(2), 235-238. Abstract: Experimental liquid-liquid equilibria for various dibasic ester + solvent + water systems were obtained at 297 K. These systems are suggested as possible substitutes in applications where chlorocarbons and aromatic hydrocarbons are used. The dibasic esters can also be used as novel solvents in separation techniques. Blowers, P., & Kiehlbaugh, K. M. (2018, Spring). Why Women Persist: Evaluating the Impact of Classroom-based Interventions. In CoNECD - The Collaborative Network for Engineering and Computing Diversity Conference . Blowers, P. (2018, Fall). Better Retention through Simple, Asset-Based Teaching . Center for University Education Scholarship. Tucson, AZ: University of Arizona Center for University Education Scholarship. Blowers, P. (2018, October). Leaving Lecturing . UA Alumni Engineering Council Fall Breakfast. University Club of Phoenix: University of Arizona College of Engineering. Blowers, P., Hemple, B., & Kiehlbaugh, K. M. (2018, June). Student Evaluation of Teaching in an Engineering Class and Comparison of Results Based on Instructor Gender . ASEE Annual Conference & Exposition. Salt Lake City, UT.